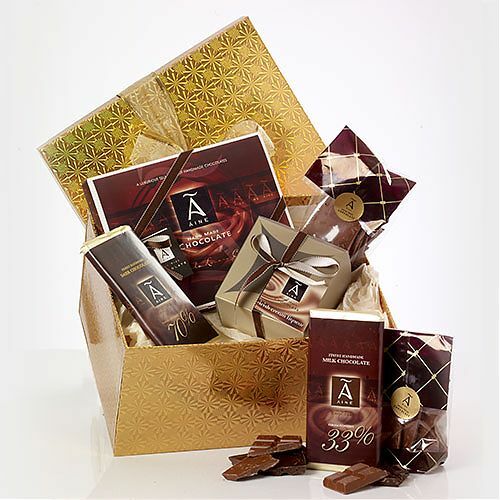 A gift box in red or gold - this luxory presentation includes a box of twelve heavely hand made chocolates, two bags of truffles filled with gorgeous stuff, 100g of creamy smooth milk chocolate and delightfully dark chocolate, two bags of broken chocolate, two 50g bars and four hot chocolate Swirl Sticks. A gift made for sharing. Or not.